]PM Narendra Modi had said the initial problems with demonetisation would be solved in 50 days. PM Narendra Modi had announced demonetisation on November 8, 2016. Cutting across party lines, opposition leaders united on Thursday to target Prime Minister Narendra Modi over his controversial decision to ban large currency notes on the second anniversary of the decision. 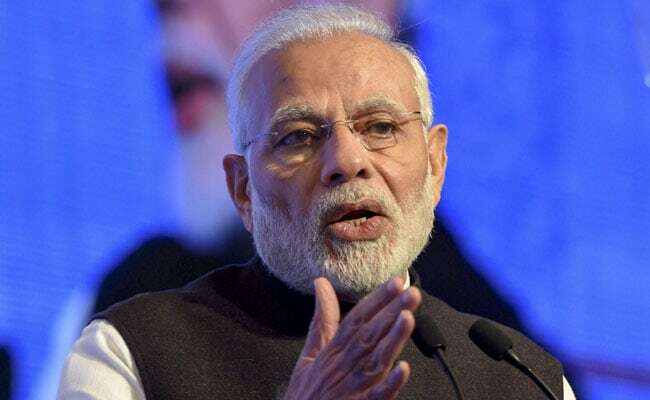 From the Left's Sitaram Yechury, to the Shashi Tharoor and Manish Tewari of the Congress, many reminded Prime Minister Narendra Modi of his 50-day deadline by which he had promised to solve the acute shortage of cash and other problems brought on by the sudden move. "I have just asked for 50 days from the country. 50 days. Give me a chance till December 30, brothers and sisters. If by the night of December 30, I fall short, you find out I was wrong, you find I had some questionable motive, I will be prepared for the punishment that the country decides for me wherever you choose to give it," PM Modi had said in a famous speech days after announcing demonetisation, exactly two years ago. Today, posting a video clip of the quote, Communist Party of India (Marxist) leader Sitaram Yechury tweeted, "Modi has clearly forgotten what he said. It is our duty to remind him of what he did to India and us Indians." His party colleague and former Union Minister Shashi Tharoor retweeted him, saying, "We gave him 50 days but it was the nation's economy that burned in that time!" On November 8, 2016, Prime Minister Narendra Modi announced a ban on Rs 1,000 and Rs 500 denomination banknotes with immediate effect. While the government has claimed a number of benefits of the decision, such as wiping out black money, choking terror funding and catalysing digital transactions, its detractors have criticised the chaos that unfolded due to a cash shortage, hurting small businesses and the deaths of about 100 people while standing in queues trying exchange their old currency. Earlier this year, after finally finishing the counting process of banned notes, the Reserve Bank of India said that over 99 per cent of the currency returned to the banking system, denting the credibility of the exercise that cost Rs 8,000 crore to the taxpayer. Since the move, household cash savings also rose to 2.8 per cent of national income - the highest in six years, the preliminary data released by the RBI shows.